TUSCALOOSA, Ala. – Joshua Williams, first-place winner of last year’s professional division of the International Horn Competition of America, will be a featured artist at the 50th International Horn Society Summer Symposium in Muncie, Indiana, July 30 through Aug. 5. Williams, a 26-year-old Tuscaloosa native who’s entering the last year of his doctorate of musical arts program at The University of Alabama, will be one of 10 headline artists featured in the symposium. 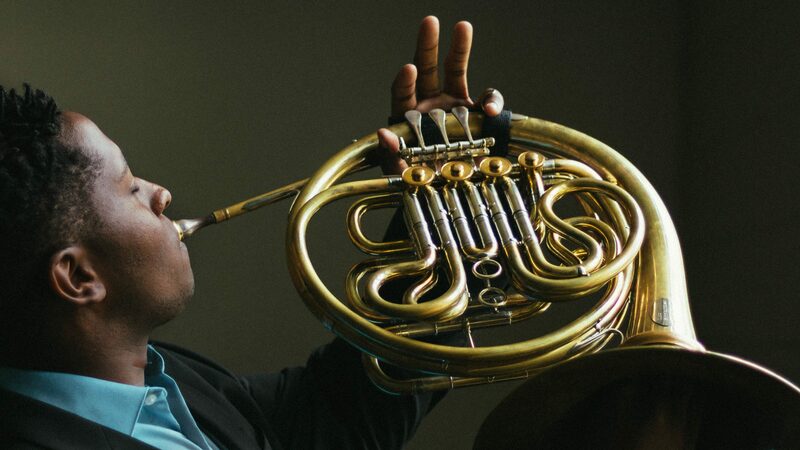 Charles “Skip” Snead, director and professor in the UA School of Music and Williams’ music mentor since high school, said that’s an honor reserved for only the “very finest and most notable horn” players. “It is an absolute who’s who of people in the industry,” Snead said. “The equivalent of a professional sports all-star event. 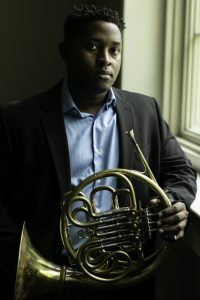 Each summer, the International Horn Society hosts the symposium for leading horn performers, students, teachers and any horn enthusiast regardless of age or ability level. The symposium is held at a different location each year. This year it will be at Ball State University. About 600 to 800 people are expected to attend. Williams will perform several times at the symposium, including performing a solo recital, an ensemble recital and as a featured soloist in a world premiere of a piece by the U.S. Army Field Band. He’ll also be giving lectures and discussions. “Not only will people be interested in hearing him play, but they want to hear about him and how he approaches playing the horn,” Snead said. He said he’s finally gotten used to all of the attention.